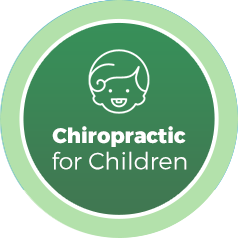 Gentle, whole body chiropractic care for Virginia Beach families. Our upbeat and laid-back chiropractic office is conveniently located along Shore Drive and features state-of-the-art chiropractic techniques and a gentle, whole-body approach. We are able to provide every member of the family—from days-old infants to spry seniors enjoying their golden years—with the health they are looking for. To support our cherished patients in their quest for health and preventative care, we take steps to help you build the foundational strength of your body's function. These measures includes finding and correcting spinal misalignments (subluxations), suggesting a care plan, helping you maintain your spinal health and offering ways you can participate in your care. 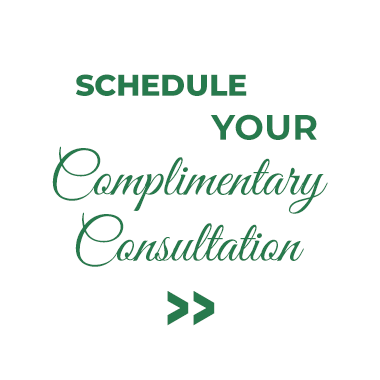 While many area chiropractors can help you feel better; we want to help you be better. As Shore Drive is a family-friendly, health-conscious community, Dr. Carly chose to open Wave of Life Chiropractic in our lovely and vibrant coastal city . The Shore Drive Corridor also contains an incredible array of restaurants and shops you can enjoy before or after your visits with us. You're the boss here at our warm and friendly chiropractic care center. Wherever you are in your health and wellness journey, we are here to meet you where you are and be a support. If you've been searching for a Chiropractor in Virginia Beach who can help you achieve your optimal state of health, contact our practice today! Excellent …relaxed/calming environment. Staff is welcoming and professional. Dr. Carley is patient focused and friendly. Great experience glad to have found this practice. Such a friendly and helpful staff. Great experience all around! Dr. Carly and her staff are very welcoming and knowledgeable. Atmosphere is comforting. Dr. Carly and her staff are absolutely phenomenal. Not like other local chiropractors. Very holistic in their approach to a whole life solution rather than just an adjustment. I was particularly impressed with both their education and explanation as well as the technology used to determine my specific issues. Very friendly staff with a lot of personality. Great staff and strong family environment! I really like that Dr. Carly does all of the explanations and the fact that she truly cares about my health and well being. I felt more than welcome during my first visit. I am glad that I chose Wave of Life- I am thoroughly satisfied. Love the team at Wave of Life! My chronic headaches, which is why I initially saw Dr. Carly, went away after only a few visits. Now, I look forward to participating in Dr. Carly’s wellness program. I came to Wave of Life Chiropractic for prenatal help. Dr. Carly has been so helpful and informative. I’m sleeping much better, my back and ribs are much more comfortable, and the baby is in perfect position for birth. Now I’m bringing my husband! We’re so glad we found Dr. Carly! Still have not had any of my daily headaches! What a blessing! Thank you! I had a wonderful first experience with this team! They were so friendly and welcoming. I felt very comfortable in their laid back environment. Everyone was very knowledgeable in what they did. Overall I’m beyond pleased with their care. Glad I came to Wave of Life! Lilah has had two adjustments and two poops! I can’t ask for better than that! Dr Carly is so gentle with babies! Dr Carly is wonderful! Her staff is extremely helpful and welcoming! I enjoyed my visit and felt great! Thank you! Dr. Carly is destined to be a great doctor, it’s in her nature. She is talented, caring and gifted. I like her style and manner. I feel confident she can assist me, reduce my pain and help me feel better. Keep up the great work! Such positive and contagious vibes enhance the level of care tremendously! The morning after my first adjustment, I was more rested and in less overall pain than I have in well over 2 years. I’m definitely very optimistic about the treatment! The doctor has given me more info on my back problems than anyone ever has! I’ve had a great experience! Very nice staff! Dr. Carly does an excellent job explaining what and why she is doing what she is doing! Actually understanding my care plan has made me feel more empowered as a client. I am very happy that I made the choice to call! I have recommended my mom to be seen here. I am so pleased with the customer service / professionalism of the staff. Dr. Carly is extremely helpful, experienced, and kind. She clearly knows what she is doing. I am already so pleased with my experience here. I have never had such a thorough and extensive exam! For the first time in years, I truly understand the root of my pain, and now know why and where my headaches are coming from. I’m really excited to begin the process of healing with Dr. Carly! I love the holistic concept-awesome!